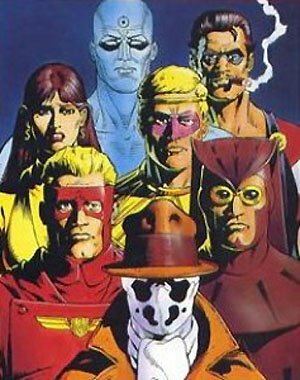 Trying to formulate the many things I want to say about Alan Moore and Dave Gibbons's magnificent graphic novel (or comic book, take your pick) Watchmen, it occurs to me that it's so much easier to review a book that's all text. When both the subject of the review and the review itself deal entirely in words, the process is more straightforward: among other things it's possible to indicate what an author is trying to do by quoting passages from his work in context and commenting on them. But it's a very different ballgame reviewing a work where words and images act in conjunction (or in contrast) to create a very particular effect, or where multiple narratives converge in a single panel. Just describing some of Watchmen's denser passages can be twice as hard as reviewing a difficult novel. Not all top-quality graphic novels pose this problem. Art Spiegelman's Maus, for instance, is easier to discuss because it has a fairly chronological narrative structure – and also because the visuals usually take second place to the writing (even though the simplicity of Spiegelman's drawings is often deceptive). 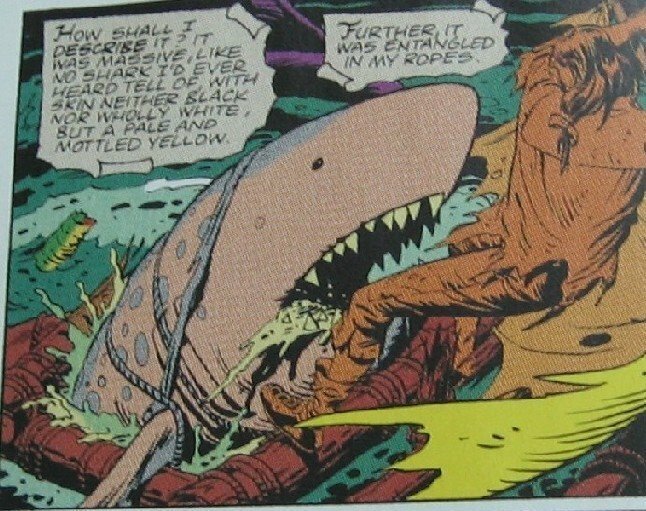 But Alan Moore's major works (of which Watchmen and From Hell are pre-eminent) are much more complex beasts. 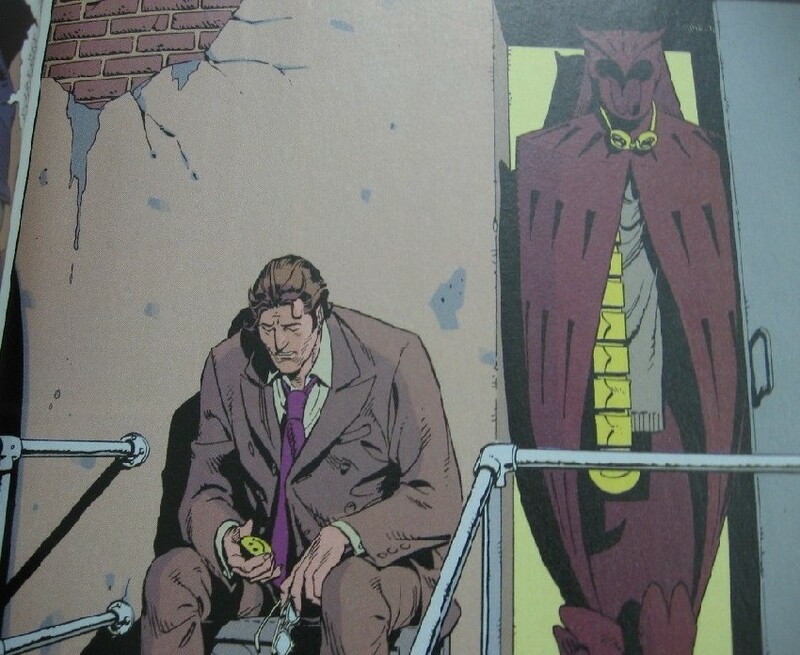 Here is an author who delights in making all sorts of connections, both visual and textual, between seemingly unrelated things: running two or more narratives together, intercutting scenes so that the dialogue from one scene provides a voiceover for a panel that depicts another event. There’s a lot of prefiguring in his work, the casual incorporation of phrases and images that will acquire a deeper resonance later in the story. Moore has used all these devices in his collaborations with artists like Gibbons (who drew Watchmen), Eddie Campbell (From Hell), David Lloyd (V for Vendetta) and Kevin McNeil (The League of Extraordinary Gentlemen) and these books demand to be experienced firsthand. The most effective thing a reviewer can do is to grab the potential reader by the scruff of his neck and drag him to the comic. Describing their effect can work only up to a point. So now I’ll try to do just that. Watchmen, originally published in 1986-87 in the form of 12 comics of approx 30 pages each, is among other things an inversion of the standard superhero comic format. It's set in an alternative America where real-life costumed heroes succeed in tackling minor crimes but find themselves becoming increasingly irrelevant in the face of the world’s more complex problems (most of the story is set against the background of the Cold War and the nuclear race between the US and Russia). The story isn't chronologically told but here's a simplified synopsis: The novel's "present" takes place over a few days in October-November 1985 with a vigilante crimefighter named Rorshach investigating a murder and reestablishing contact with his former colleagues, most of whom retired eight years earlier when costumed heroes were outlawed. But we also learn of related events going all the way back to 1939, when the first band of masked adventurers (collectively known as the Minutemen) came together to fight crime. Through flashbacks and other expository devices such as excerpts from books and articles written by and about these characters, we learn of the tragedies that struck the original group and about their eventual disbanding; the formation in the mid-1960s of a new group of Crimebusters who, among other dubious achievements, helped the US win the Vietnam War; and the Keene Act which banned these crimefighters from operating independently though allowing some of them to work as government agents. As usual, Moore repeatedly references works of literature and popular culture. 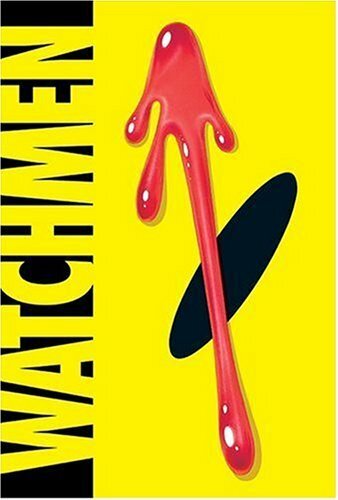 Each of Watchmen’s 12 chapters has as its title a phrase or quotation that is placed in context at the end of the chapter. Among these are “At Midnight All the Agents…” (from Bob Dylan’s “Desolation Row”), “Fearful Symmetry” (from William Blake’s “The Tyger”) and “The Judge of All the Earth” (from a line in Genesis) – each title alludes to at least two or three separate things mentioned or depicted in the chapter. Watchmen is a very complex work that needs to be returned to at least 3-4 times before you can fully appreciate the wealth of detail on each page and the magic jointly woven by Moore's writing and Gibbons' illustrations. It addresses too many issues for me to take stock of here, but a notable recurring one is that all idealism is eventually corrupted, or at least diluted. We've all seen examples (in every sphere of life) of how groups or organisations, even the ones that begin with the best of intentions, gradually change as they become bigger, more mainstream. Ulterior motives enter the picture and equally importantly there is imputation of ulterior motives where none might originally have existed – which creates a never-ending cycle of distrust and misunderstanding. 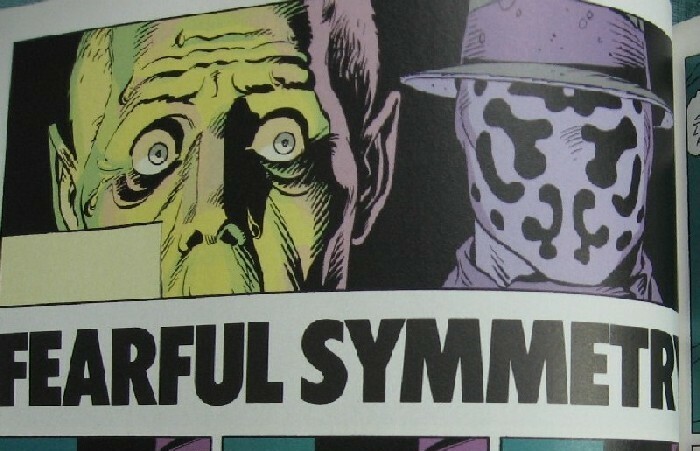 Everything is transient, Watchmen reminds us; it’s no coincidence that the most important character of the final two chapters gets his name from Shelley’s poem “Ozymandias”, about the temporariness of power and hubris. But also, as Dr Manhattan cryptically says to Ozymandias in the closing pages, “Nothing ever ends” – which can be taken to mean that no one ever has the final word on anything. The two ideas are not as contradictory as they might appear to be, and both are vital to the Watchmen universe. Reading the last few paragraphs, I realise they make the book sound preachy and provide little sense of how dynamic it is – above all, what a great comic book it is. I’ve also probably focused too much on Moore’s writing without discussing Gibbons’ contribution. But then, like I said, I have no real idea how to review a work like this. So to wrap this up let me just mention one captivating sequence among many: the passage where Dr Manhattan (who can simultaneously experience the past, present and future) reflects that the world is a clock without a craftsman. In a good novel this thought, not in itself exceptional, would be given weight by the context and the treatment, by the quality of the words used to describe it. But here it develops gradually over a number of pages where words and images combine and collide to create meaning. Dr Manhattan/Jon reflects on various incidents in his past, on the permutations of events that brought him to this moment – and all of this leads up to a crescendo at the end of the chapter (which incidentally is titled "Watchmaker" – derived from Albert Einstein's remark that if he had known about the consequences of atomic power he would have chosen to work in a watch manufacturing plant). It’s a brilliant segment and a fine example, one among many in this book, of how visionary and far-reaching the comic-book medium can be. Like a watchmaker’s most intricate creations, Watchmen is greater than the sum of its interconnecting parts. Excellent post, Jai. And yes, that "Watchmaker" sequence struck me as remarkable when I was reading the book -- it's at that chapter that I realised I was reading something special. You know, I've always read comic books pretty fast, caught up in the adrenalin of their plot, just swept along. With books like Watchmen, though, I learnt to go slow, to savour every frame. Watchmen is truly brilliant. 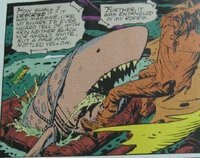 one of the things that strikes you (not immediately) is that alan moore's style is also heavily influenced by film editing techniques. there is this site on the net which annotates the watchmen. As in, every single frame and piece of dialogue in the comic is dissected. The annotations point out for instance, that the first piece of dialogue on the opening page is straight from 'taxidriver'. Anonymous: thanks for that link, very useful. I'm an annotation-junkie so I doubt I'll find it tedious. very comprehensive post, jai. I haven't read any graphic novel at all (I mean, the ones meant for 'grown ups':) ), should this be the one that I should start with? Now do a "Vendetta" and link it to the movie. I don't know. I agree that Watchmen is in many ways a phenomenal book (I specially love the cinematic touches that the graphic novel format makes possible - overlapping dialogue, for instance, or that first panel with its zoom out to Blake's window high in the air), and I loved the first half, but I can't help feeling that the second half was a bit of a cop-out - I would have welcomed a little more nihilism. The Watchmaker section was stunning, for example, as was the Roscharch section, but what was with the whole thermodynamic miracle nonsense. I mean really. (I can't help loving Moore for the Nietzsche though. It's good to see the real Superman back in action). To me the key theme of the book is this: it's dangerous to extend 'superhero' ideologies of justice to the arena of international conflict. Vigilantism, no matter how well-intentioned, operates at an unacceptable human cost, and its 'idealism' is usually a front for some seriously psychopathic behaviour - the only people willing to engage in those kind of trade-offs being the ones who have no authentic concern for human life. The attempt to 'save the world' (essentially from itself) is a hollow megalomaniacal dream, whose price is paid by innocents - the parallels between the finale of the book and Hiroshima (Moore says it himself - the "weapon to end all wars") are too obvious to miss. Moore's book is set in the Cold War, true, but it's a Cold War where one side has attained strategic dominance over the other, and Moore is very good, I think, at portraying how that kind of power corrupts, creates the temptation to play God (or, if you prefer, International Policeman). Cowboys with power, in masks or otherwise, are dangerous. "We in this country, in this generation are -- by destiny rather than choice -- the watchmen on the walls of freedom. We ask, therefore, that we may be worthy of our power and responsibility, that we may exercise our strength with wisdom and restraint, and that we may achieve in our time and for all time the ancient vision of 'peace on earth, goodwill toward men.'" The key bit, to me, is the part about exercising strength "with wisdom and restraint". It's a point that many people (including the current President of the United States) would do well to remember. It was 'From Hell' that taught me to read comics very, very carefully. This sure was a good read.Got here as i wanted to know more about 'watchmen', as i am going to pick it up this evening. 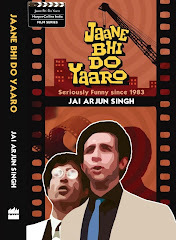 So i will definitely pick it up as i intended, and will savour it all the more because of what i have read. thanks. 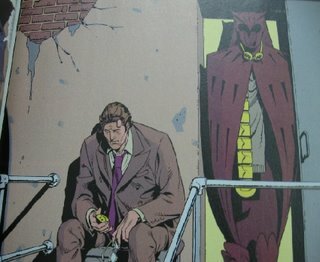 I'm an avid graphic novel reader and I have read several reviews of the Watchmen. Kudos on such an excellent review. This is a very well thought out, well written and insightful review.